Brighter Homes Lighting was opened in Eugene, Oregon in 1968 by Jack Lee. At its inception, it was a novelty. 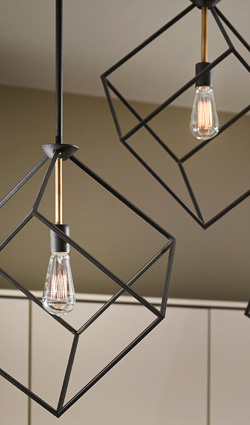 The idea of a stand-alone showroom of decorative lighting was almost unheard of. Lighting was more function than form, and it was often an afterthought in the construction process. However, that was changing and Jack saw an opportunity. Style and design in the interior and exterior lighting industry was blossoming, but it had to be seen in person to be truly appreciated. Jack knew that if he created a showcase for the artistic nature of decorative lighting, home buyers could more fully express their personal style through lighting their homes. Stunning lighting fixtures became the jewelry for the home and Brighter Homes has always been a treasure trove. Some 50 years later, Brighter Homes Lighting has grown into Oregon’s largest lighting showroom, and yet we are still family-owned and operated. Ryan Lee, a third-generation lighting specialist, believes in Grandpa Jack’s original vision. We have expanded to two locations, now serving both the Eugene and Salem areas! With thousands of interior and exterior lighting products, Brighter Homes has become the one-stop resource for all your lighting needs. Our lighting experts have more than 25 years of experience and would love to help you find the perfect lighting solution. Our non-commission sales force offers no-pressure, personally guided tours through the wonderful world of lighting. From the latest LED technology to reproduction Edison style bulbs, Brighter Homes has it all. Stop by with your lighting questions or just to experience lighting as fine art. One visit and you will see why Brighter Homes has been “The Bright Choice” for more than 50 years.